This course aims to reflect and present the academic discussion revolving around the notion of ethnic and cultural diversity. What is diversity? Where and in what form does it exist? What are the challenges and promises of diversity? What are its shortcomings? How can we relate diversity to ethnicity and culture? 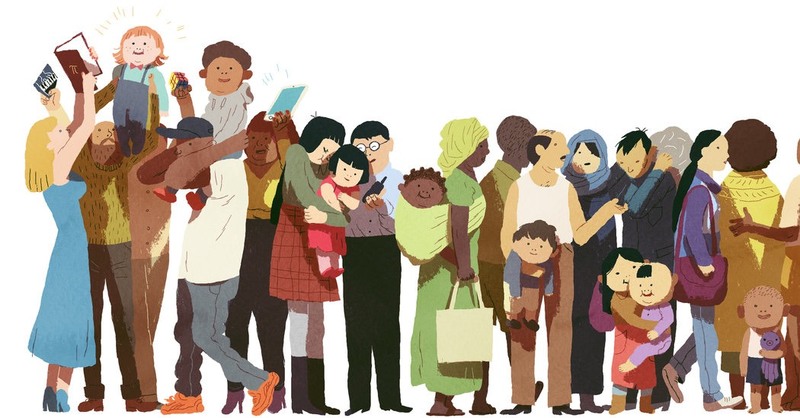 How can we make sense of diversity in real life situations? How can we study diversity? The principal target of this course is to analyse the idea of diversity and capture its significance in an anthropological context. The theory as well as the uses of diversity will be studied in a primarily anthropological framework in relation to culture and ethnicity. Along with the anthropological standpoint, the relevance of the metropolitan, multicultural and global contexts will be also highlighted keeping the discussion close to a cultural studies agenda as well as anthropology. To download the updated course syllabus please click here. Cultural diversity term paper will be about any topic you choose comprising an argument and a fieldwork. Fieldwork can be about any group, cultural space, minority, hybrid identity or ethnic allegiance to be studied in its own subjectivity. The paper should preferably be about 6-8 pages long although there are no strict upper limits. There will be two reading assignments that will be assigned on two separate weeks about 1 to 3 pages long. The papers will discuss what the student has understood from the readings of the specific week. The assignment questions will be given 1 or 2 weeks prior to the due date. Presentations will be about ten-minutes long each about a specific article assigned in the syllabus for that specific week. The main focus and concern should be summarising and reviewing the relevant reading in the light of all what we have seen in class so far.